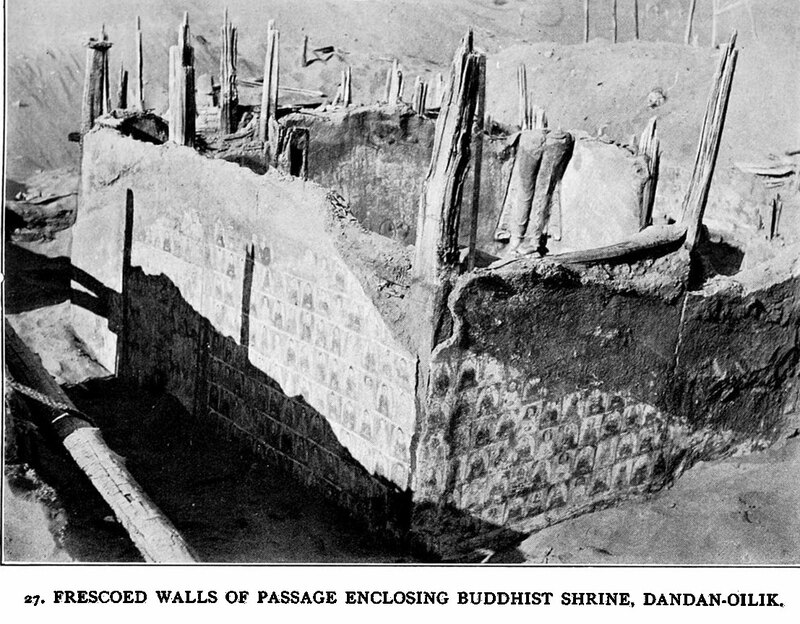 On Central Asian Tracks 27 - Frescoed walls of passage enclosing Buddhist shrine, Dandan-oilik - Note the use of stencils. This photo appeared in other Stein reports. Dandan-oilik was one of the first ruins in the desert north of Khotan to which Turdi led Stein.